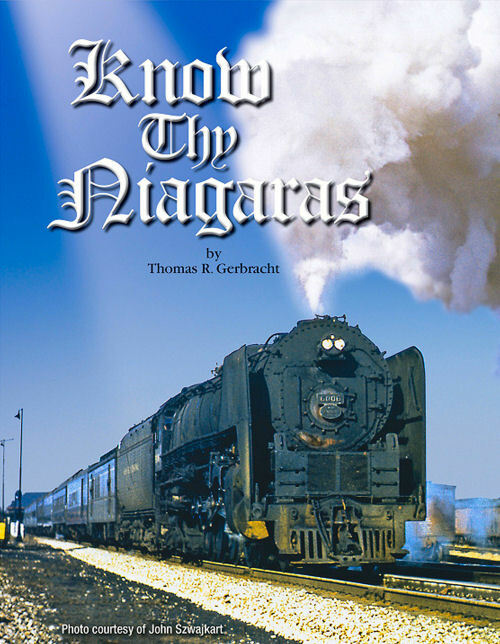 This hard cover book is the complete story of the New York Central’s famous Niagara type Steam Locomotives, written by NYCSHS Director and former President Tom Gerbracht, after several years of research and a lifelong history of information collection for these great locomotives. Tom gives a detailed history of this famous locomotive from the official Railroad Historical Record Cards and official NYC drawings. This book identifies the New York Central’s earliest attempt of a locomotive with a 4-8-4-wheel arrangement. The book covers the Niagara in all of its forms, including the original Niagara, the production Niagaras, and the poppet valve Niagara. There is a section describing the design changes made to Niagaras during their careers, and a chapter of the testing of the Niagaras, including correspondence from some of the test participants. Tom also reviews the design details for a divided drive successor to the Niagara, an engine that was never built. The PT tenders used by Niagaras are also included, including future plans for a “Super PT”. Extensive reference material is included. The book has over 275 pages and over 200 photographs, many previously unpublished, and includes a 32-page color section. Excellent for modelers. This is it Baby!